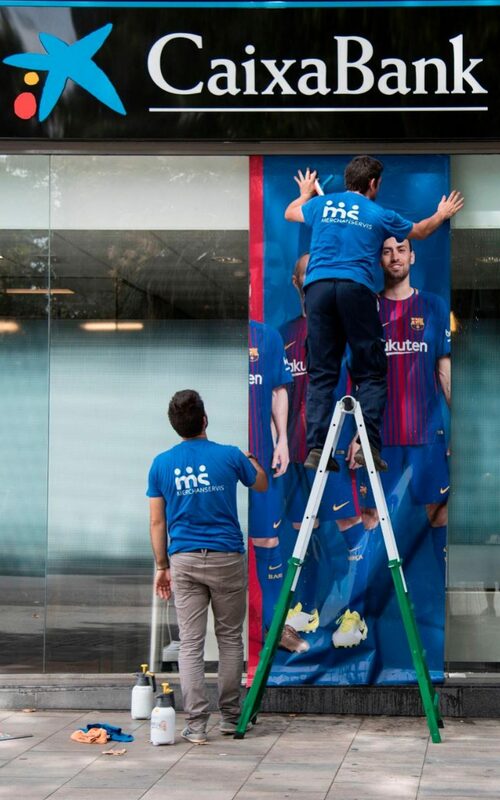 Barcelona are already wiping Neymar from the walls of the Nou Camp as they prepare for life without the Brazilian superstar. The 25-year-old Brazil striker, widely considered to be among the best players in the world alongside Lionel Messi and Cristiano Ronaldo, broke weeks of silence on Wednesday when he told his Barcelona teammates he wanted to move on after four trophy-laden seasons. The cost of the player’s buyout clause is €222 million (£198m), an astonishing price that Neymar’s representative said PSG are willing to pay. 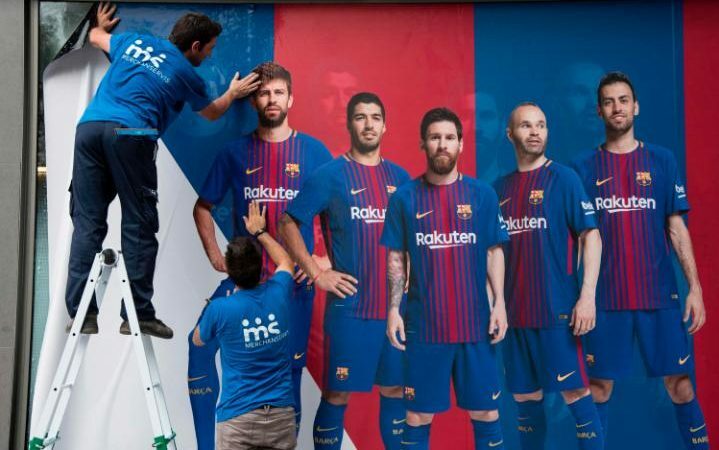 And the Catalan giants have wasted no time making their anger known, taking down a giant group poster involving him and replacing it with a new one ahead of the new season. 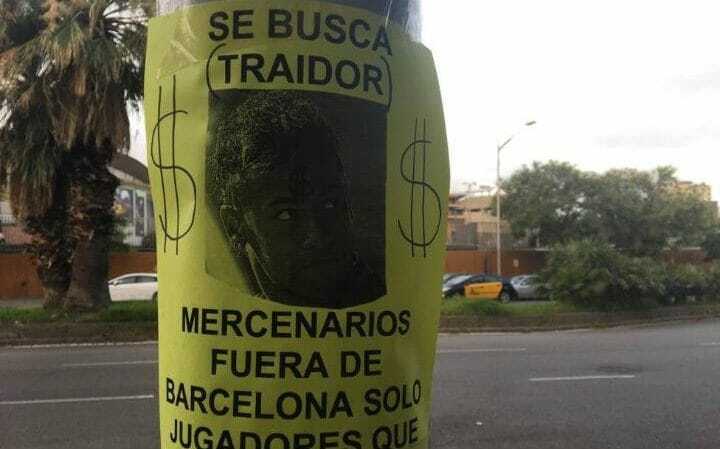 This follows several anti-Neymar poster emerging outside the stadium as Barca fans make their feelings known. Neymar’s proposed move to Paris St-Germain could signal a pinnacle in transfer spending, according to a leading football finance expert. A future plateau in the price of television deals and a ceiling on pay-per-view fees means the deal could stand alone for some time to come, says Rob Wilson of Sheffield Hallam University. And Wilson suggested the move by PSG’s owners, Qatar Sports Investments, could have political as well as sporting ramifications. Wilson said: “I genuinely see this as a big outlier and I don’t think you will see many of these deals done in the next 50 years, let alone the next two or three. Questions have been raised over the lack of a serious attempt by a Premier League club to enter the race for Neymar, but Wilson believes it is indicative of a changing philosophy among owners in the richest league in the world. “Clubs in the Premier League are a little bit more financially responsible than they once were – spending £200m plus agents’ fees on one player doesn’t generate financial sense,” added Wilson. Wilson believes there could be another reason for PSG’s emergence as the only club willing to fork out for Neymar, given the current political strife involving Qatar and the majority of its Arab neighbours.